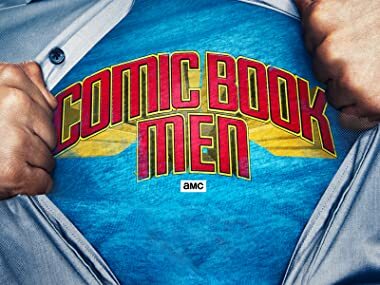 Comic Book Men follows the antics in and around master fanboy Kevin Smith's New Jersey comic shop where staff and customers geek out over pop culture artifacts and the legends behind them. Walt challenges his staff to a flea market sales competition. Customers bring some coveted items into the shop. Kevin is in town and rallies the Stash for a game of street hockey. How will Walt and the guys hold up? And hurricane Mewes blows through the Stash, and no one is safe. Especially the customers! Walt wants to have the Stash shoot its first commercial. Who better to direct than Bryan himself! What will the outcome be having Bryan behind the camera again? And one customer brings in a fanboy's dream! Walt reluctantly lets Ming run a new sales promotion for the Stash based around zombies. Will Ming's scary idea have even more frightening results than Walt is ready for? Walt and the guys take a road trip to an unexpected convention. After a major setback, the guys end up finding a literal treasure in the trash. And one customer brings in an item Mike wants for himself. Ming dares Walt, Bryan and Mike to get tattoos, but will each of the Comic Book Men go through with it? And one customer looks for romance at the Stash, while another makes a deal with Bryan.